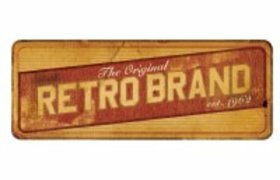 The Original Retro Brand continues to be a cutting edge and fashion forward company featuring lines for men’s, women’s, youth apparel and headwear. 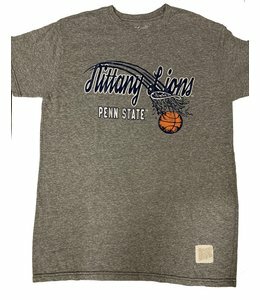 We design and manufacture collections with leading sports entities including The College Vault and over 700 Universities, The National Hockey League, The Major League Baseball Players Association and Minor League Baseball. We also have an extensive collection of vintage Pop Culture lines featuring MARVEL Comics, MGM Movie Studios, General Motors, Hasbro Games & Toys, travel and dining classics like Waffle House, HOJO, Bob's Big Boy and Travelodge to name a few. 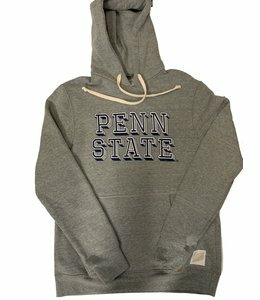 The classic Penn State logo treatment on a very nice and cozy sweatshirt! 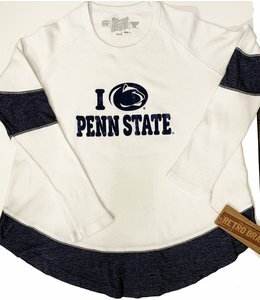 Penn State proud in this cozy sweatshirt!